" Awesome item, AWESOME price!!! " 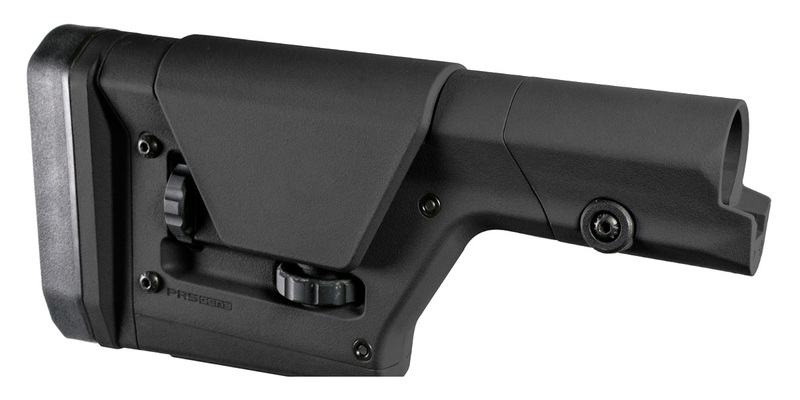 Magpul PRS Gen 3 Stock.
" Your price on this stock beats all the competition by miles! Very satisfied with my purchase from Kentucky Gun Company. " " Perfect fit on my AR10, could not beat the price anywhere! Thanks. " " First time ordering from webssite. They had the best price around for the prs. Shipped very fast and had it within a days. The stock itself is awesome. Put it on my RPR and it was a breeze to get it on. What else is there to say about the stock. It’s one of the best. " " Great product great price fast shipping. Thanks! " " Best price and fast shipment!!! What more could anyone ask for. " " This stock was to upgrade the one that came on my savage stealth 110 ba. It is well built and the adjustments on it work great, the internal gearing doesnt feel cheap. It absorbs alot of the recoil from .338, I am very happy with it. " " Fast shipping and great prices! " " The product and service were both first rate. I especially appreciate K.G.C. 's attention to anti-fraud measures. " " A bit heavy, but it helps balance out a heavy/long barrel. Feels solid. " " Easy to install and very stable. I'll be getting another for my wife's build. "